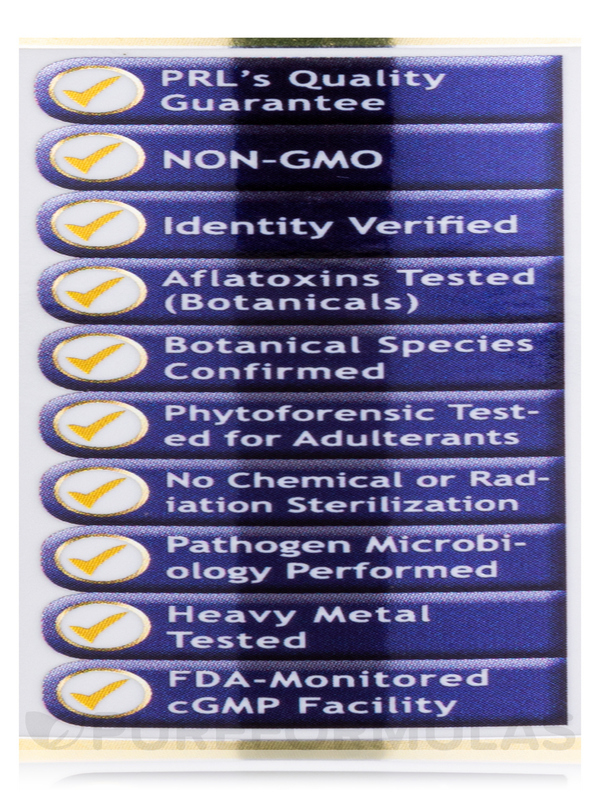 CereVen by Premier Research Labs has accurate description and delivery. My dad had memory issues and within a month we noticed a huge difference. 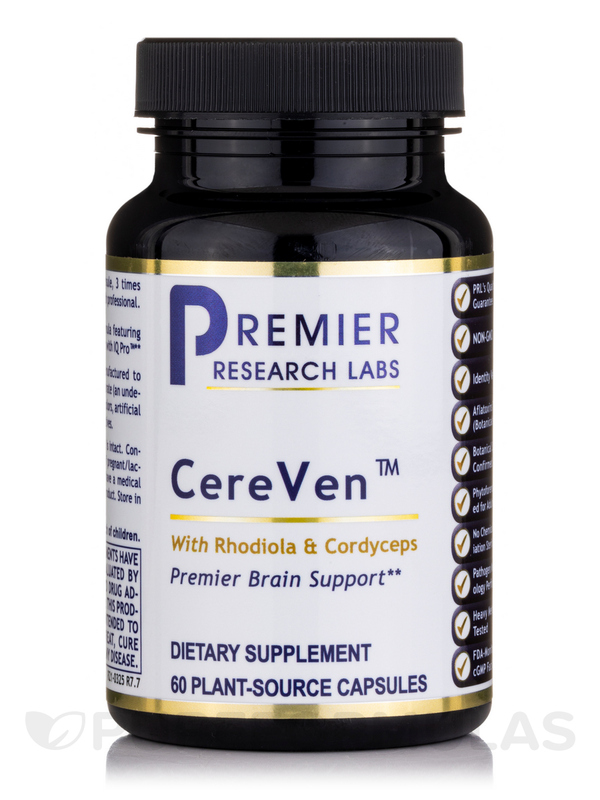 Gave this CereVen by Premier Research Labs to an anxious, nervous family member. It does help calm nerves. Your brain is the most essential organ in your body; it’s the one processes all of the information in and around you. Since your brain is so important‚ it’s frustrating when it isn’t working the way you want it to. As a result of getting older‚ eating a poor diet‚ illness‚ or disease‚ you may notice that you have a loss of focus‚ clarity‚ attention‚ and memory. If your brain doesn’t receive the right nutrients‚ it will not work properly. Toxins‚ chemicals‚ and drugs can also harm your brain. If you take good care of yourself through proper nutrition‚ you can help your brain function at its best. Good nutrition won’t cure more serious diseases‚ but it may help reduce the severity of such diseases or slow their progress. It can be difficult to eat all the right foods to get everything your brain needs. In addition‚ your brain may require more nutrients than the average person if you’re having trouble focusing and memory problems. 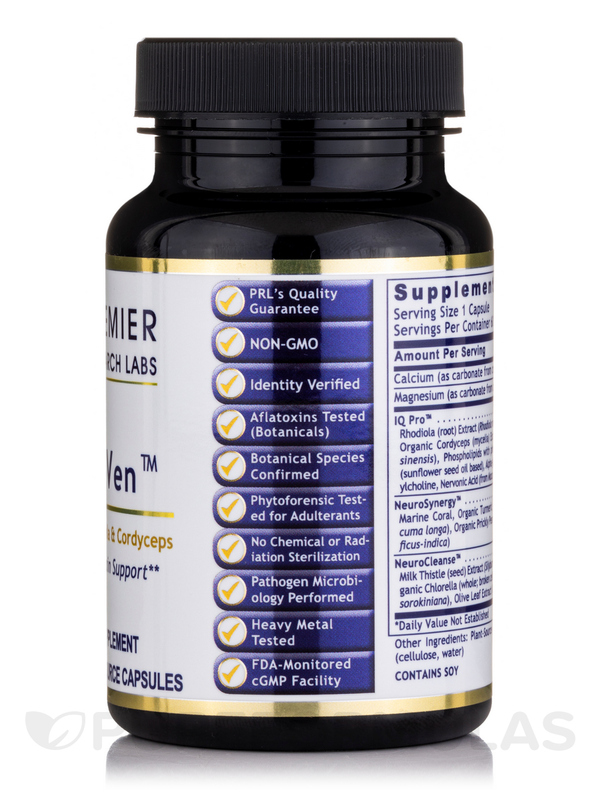 Premier Research Labs’ CereVen (formerly called Quantum Brain Complex) is a natural supplement specifically designed to nourish and protect your brain in order to improve its functioning. This 60-capsule bottle of CereVen should last for about 20 days if taken at the recommended dosage of one capsule three times per day. If recommended by your health care provider‚ you can take up to 10 capsules daily. 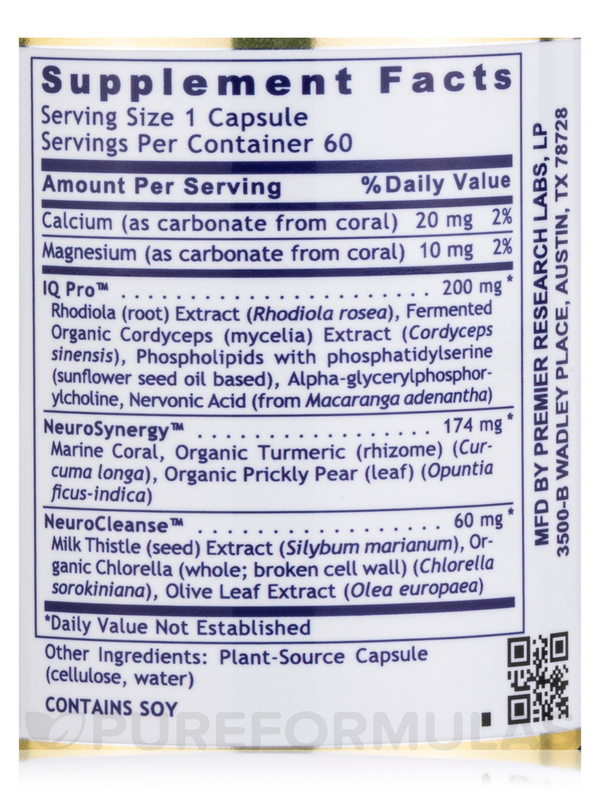 Marine coral‚ organic turmeric (rhizome) (curcuma longa)‚ organic prickly pear (leaf) (opuntia ficus-indica). Milk thistle (seed) extract (silybum marianum)‚ organic chlorella (whole; broken cell wall) (chlorella sorokiniana)‚ olive leaf extract (olea europaea). Other Ingredients: Tocopherols‚ ascorbyl palmitate‚ green tea (leaf) extract‚ dicalcium phosphate‚ dihydrate‚ tricalcium phosphate‚ silicon dioxide‚ soy lecithin‚ vegetable cellulose capsule. Vegan / Vegetarian / Non-GMO / cGMP Facility. Originally purchased this CereVen by Premier Research Labs from a chiropractor. It really helps with my brain fog. I researched it and found that I could purchase this product at a much lower price. Two capsules per day and I do not have any brain fog. I talk to people older than I am and they can't remember the littlest things that does not happen to me. 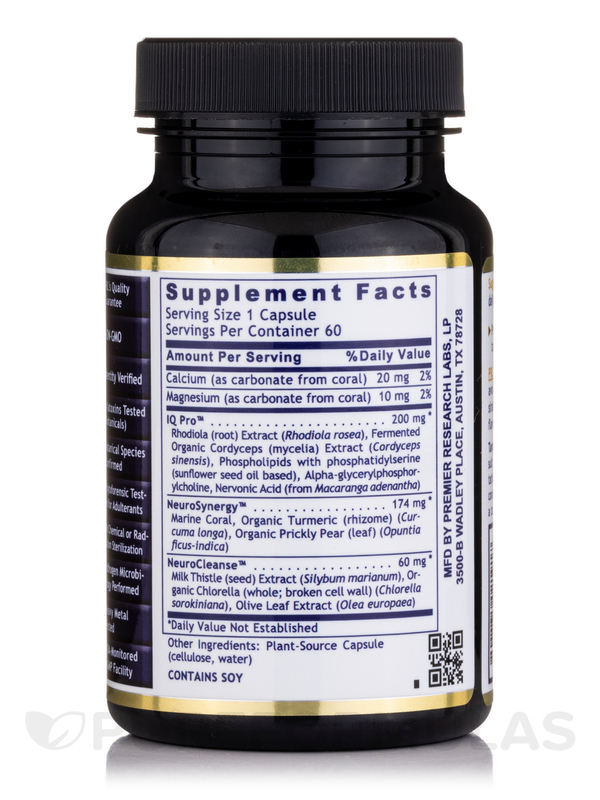 I've been using this CereVen by Premier Research Labsfor the past 7 months following a detox. 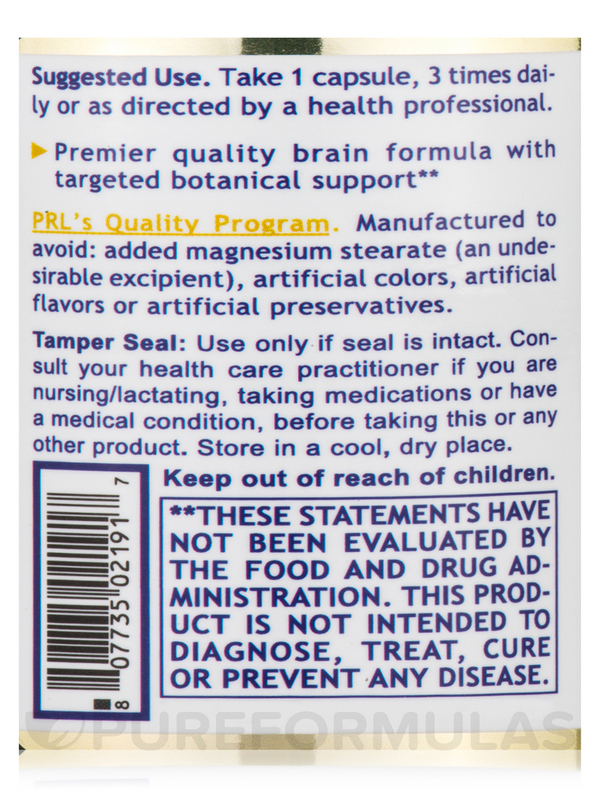 I noticed shortly after using the product that my concentration and memory were much better! This CereVen (formerly Brain Complex) by Premier Research Labs has renewed my memory very quickly. I'm in my sixties and getting those senior moments. Not anymore. This gave me a lot of mental energy, perked up my mood and enabled me to stay awake longer than 7pm. Maybe I was deficient in something? Last year, I started to make mistakes while driving, which made me realize that my mind can not focus well. I was looking through reviews of Amazon, and find the reviews of cereven sounds quite reliable. I decided to give CereVen (formerly Brain Complex) by Premier Research Labs a try, and after two weeks, I significantly found the effect, no longer make mistakes while driving, also improved my memory. In addition, I no longer feel anxious. Then I gave this product to my mother 65 years old, to give a try. She also found that her memory is better and her temper is better. I also recommend it to my friend's father who had a heart surgery, and found brain become dump. At the beginning, he didn't believe this because he is a medical doctor who do not trust supplements too much. And now he asks my friend to send more of these to him because it seems really helped. 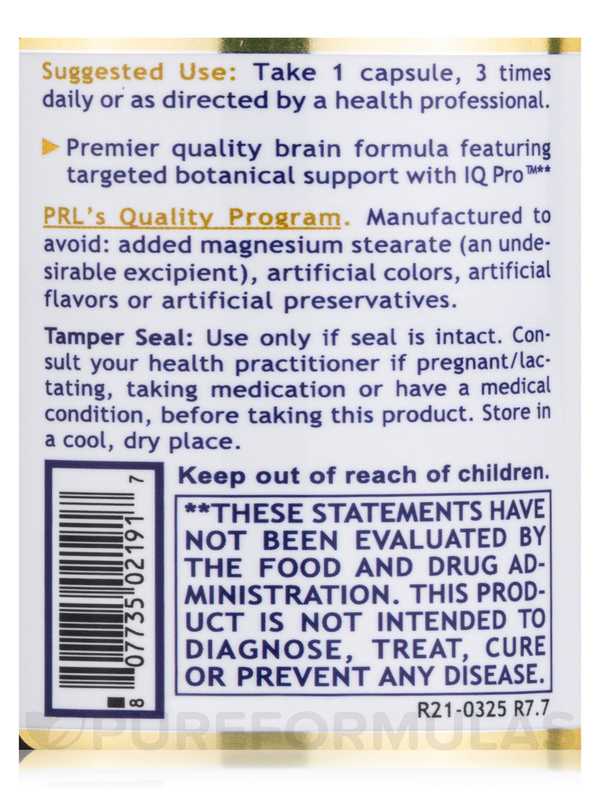 I have used CereVen (formerly Brain Complex) by Premier Research Labs for several years now. I can remember names without delay., just like when I was younger. I will be 75 in June. CereVen (formerly Brain Complex) by Premier Research Labs tasted like a burned cigarette ashes. Also I looked at the bills and it looked like it black ashes around the capsule and when I open it, it was grinded things. I am very disappointed and I would like a refund. Worst experience. CereVen (formerly Brain Complex) by Premier Research Labs helps brain functions and it is helping me. My teenager has used CereVen by Premier Research Labs 2x daily for over a year and it is an excellent product. He has a few chromosomal disorders that affect his memory and cognition, and this is something that has proven effective. I open up the capsule and add it to cinnamon apple sauce.